This class brings together fundamental movements of yoga and pilates, all choreographed on the music’s rhythm. Centergy is the ideal way to improve balance, mobility, flexibility and strength. This class will help you balance your workouts and revive your body and your soul. Abdo Solution is an effective workout that will help you strengthen and tone the abdominal region. Accessible to all, this class is a quick solution for maximal results. This class will help you increase endurance and tone your body. 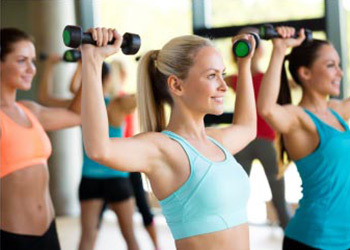 It combines the energy of working in a group to the benefits of weight training. This class requires little coordination and allows you to work with lighter weights due to the high amount of repetitions. 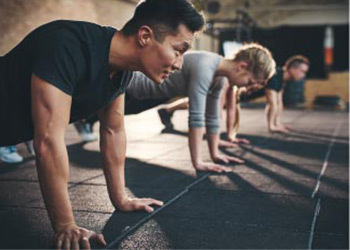 Target your cardiovascular system with this martial arts inspired class. Explosive and intense combinations that will also allow you to release some stress! This simple formula is inspired by different yoga techniques. 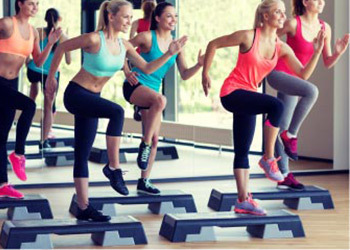 It will allow you to improve balance, muscular endurance and flexibility at a moderate pace. High intensity cardiovascular workout targeting your glutes, thighs and abdominals. A very effective way to tone your lower body through functional exercises. Zumba is a group class that combines different Latin music styles. It’s an hour where you’ll feel you are partying and forget that you are training! 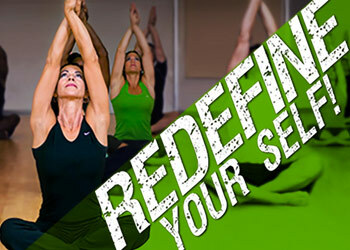 This class caters to all as it can be performed by all different levels of fitness. Offered by Zumba Fitness certified instructors. This cardiovascular workout allows you to strengthen your legs using a step platform. The choreographed-style sequences creates and dynamic and fun environment. This class is composed of short and long intervals of different intensities. 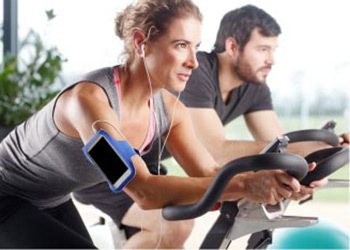 It will allow you to burn lots of calories, but also to improve your cardiovascular capacity and muscular endurance. This military-style workout is set-up as circuit-training and/or intervals. You’ll get a complete workout as you will push your cardiovascular and muscular limits. 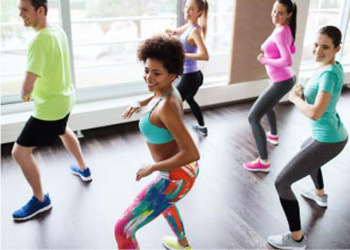 Many people who become involved with Zumba, a workout class that functions more like a party, want more. Zumba Fitness doesn’t disappoint; it added many offshoots to the original. Zumba Toning is one. 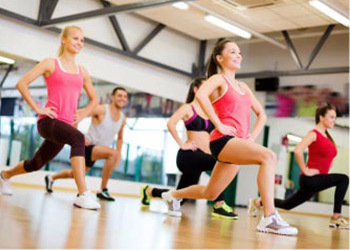 The original Zumba fitness class combines Latin dance moves with a cardio exercise routine. Zumba Toning keeps Zumba’s essence while focusing on strength training the arms, abs and thighs. Periodization is different every class so this will affect intensity and allow to surpass your limits. By experimenting with over 19 different training methods, you will challenge your body and reach new heights! 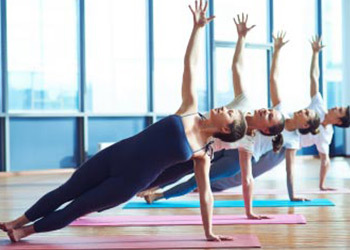 La méthode Pilates est une gymnastique douce du corps qui est composée d’un ensemble d’exercices posturaux et en mouvements. 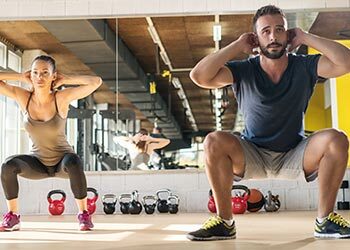 Ces exercices ont pour but de renforcer et d’étirer nos muscles profonds et stabilisateurs afin d’optimiser l’utilisation de nos muscles apparents et d’améliorer notre alignement corporel. 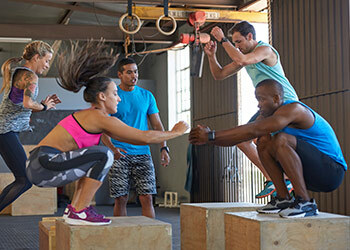 Enjoy circuit training in a group with all new equipment at your disposal. 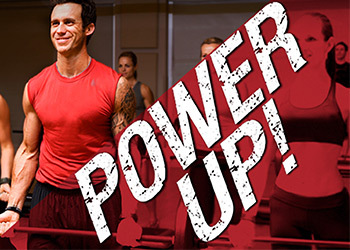 Challenge you body and experience an amazing workout along side a certified trainer.